Petite but potent. 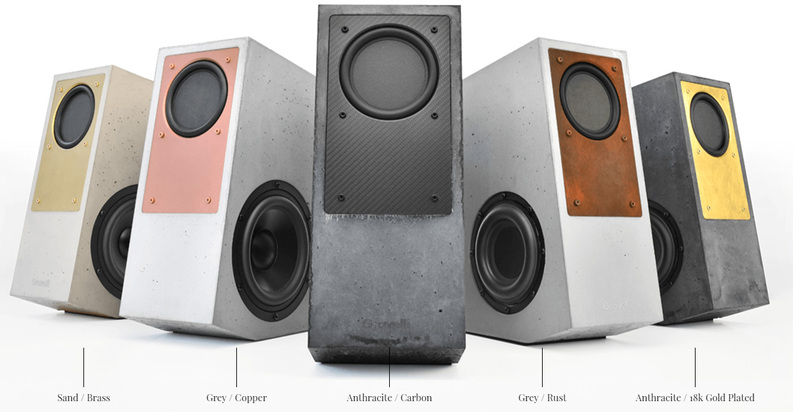 Today, we look at three compact speakers which all sound a lot bigger, go lower and do it louder than they look: the Boenicke Audio W5, the soundkaos Vox 3 and the Gravelli Bespoke Audio Virtuoso. The first two are from the land of not milk and honey but chocolate, cheese, watches and banking. The last one is from Czechia. That's also one of the last bastions of boutique Western tube manufacture. Think KR Audio, Emission Labs and EAT. And now Gravelli. What all of these contenders have in common are widebanders with sidefiring woofers. Given that, widebanders here don't mean full bandwidth. It simply means drivers with uncommon bandwidth to cover tweeter/midrange turf on one cone. Gravelli's BMR or bending-mode radiator says bye-bye to a tweeter altogether, then offers far superior off-axis response. Boenicke's metal cone widebander gets a ¾" rear-firing super tweet assistant. soundkaos' widebander looks not in that rear-view mirror but up through the sun roof at an upfiring Raal ribbon which adds air, HF fizz and 360° dispersion to counter a widebander's innate beaming. On numerology, the W5 gets one 5" woofer, the Vox 3 two horizontally opposed 5-inchers, the Virtuoso one active 5er plus a bigger 7" passive radiator also in a V-twin layout. On material science, both Swiss do it in solid wood, the Czech as a cast polymer/concrete composite. On MO, the Swiss do it traditionally passive, the Czech class D fully active to become a complete system in a box. On options, all of them abound, be it different wood species, concrete tints or baffle insert finishes. On price, none of them are cheap or entry-level. But on décor smarts, out-of-the-box staging, look-ma-no-speaker Houdinis and contemporary appeal, they all ace it big time to blend into your lifestyle, not stick out like sore thumbs.